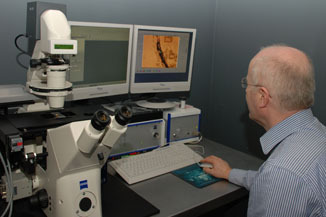 The Imaging Facility is a cost recovery department offering staff and students within the Institute of Ophthalmology, Moorfields Eye Hospital, other UCL Departments and UK academics access to a broad range of advanced imaging and specimen preparation techniques. 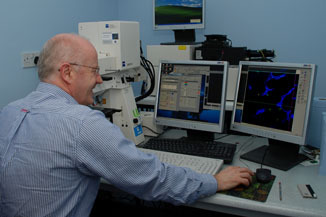 The facility is managed by Dr. Peter Munro with the assistance of Robin Howes (scanning and transmission electron microscopy). 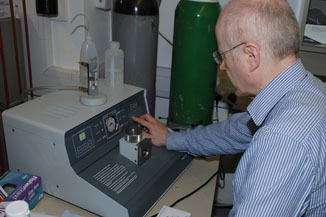 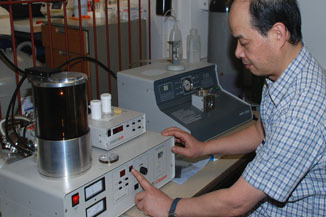 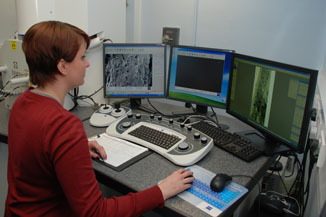 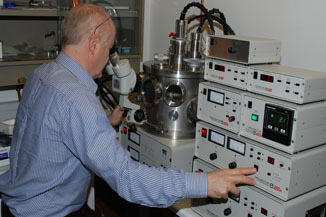 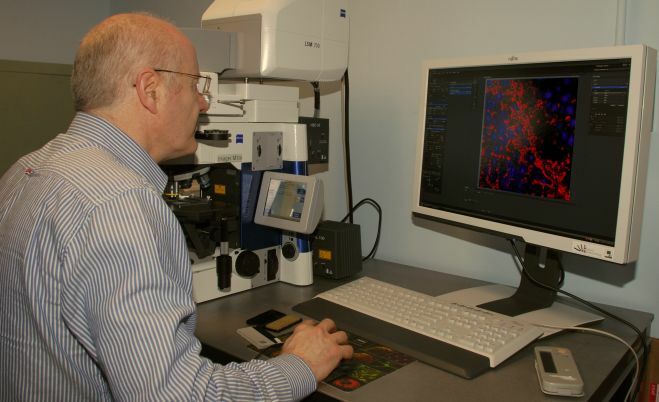 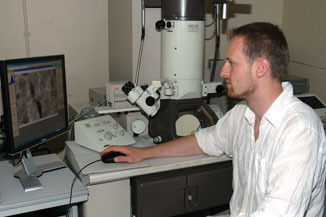 The electron microscopes, preparative laboratories and equipment are located in the Cayton Street basement along with the PALM laser capture microscope and Zeiss LSM 700 and 710 confocal microscopes. 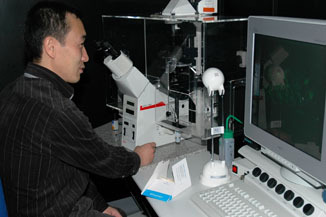 The Leica TCS is located in the JIF Building. 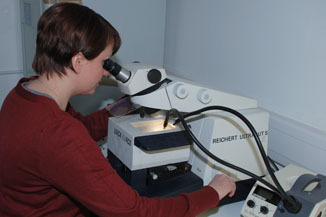 The policy of the facility is to train users to prepare and examine their own specimens wherever possible, utilising one or more of the available microscopes. 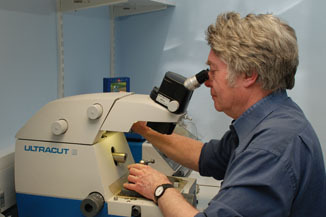 Anyone wishing to use the Imaging Unit should contact Dr Peter Munro for training and cost information.